John Egan: Says Blades will bounce back. CHRIS WILDER, the Sheffield United manager, is not usually one for meetings. He prefers to be doing, rather than discussing. Far happier to be out on the training pitch, working with and improving his players. Once in a while, however, the 51-year-old feels the time is right to sit down with the Blades squad and thrash out a few things. One such moment arrived last Monday morning, as the dust continued to settle on a defeat to Bristol City that had seen United slip out of the automatic promotion places. 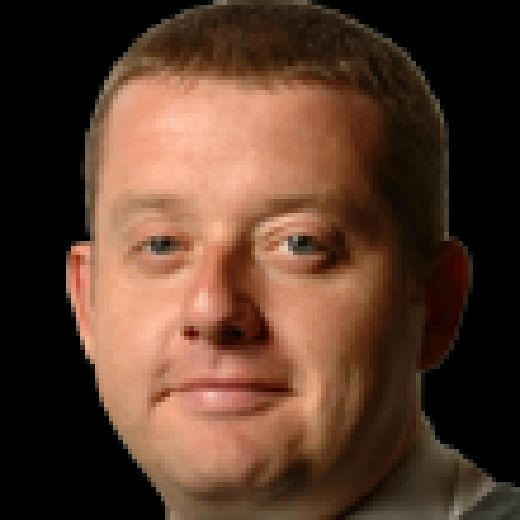 “We are not really the type who think, ‘Let’s have a meeting about a meeting’,” Wilder told The Yorkshire Post ahead of a game with Preston North End that will see 6,000 Blades fans make the trip to Lancashire. “Players get bored, they switch off and meetings can lose their meaning and impact. “This season, we have had three. One after Middlesbrough right at the start, when we needed to reset after two defeats. Another after Aston Villa away and then one this week. “The proof is in what they have done (after those meetings). We beat QPR after Middlesbrough, and went on a run after Villa. There were no raised voices when Wilder got his squad together at the club’s Shirecliffe training base earlier this week. Why would there be? United occupy their most promising position since dropping out of the Premier League in 2007. This time, I felt we needed a chat. It was not crisis talks. I just thought it was important to talk to them about what we are about and what we have done so far. And, of course, what we need to do over the final seven games. Over the next four or so weeks, Wilder and his players have an opportunity to write themselves into Blades folklore. John Egan, the club’s record signing, appreciates that. 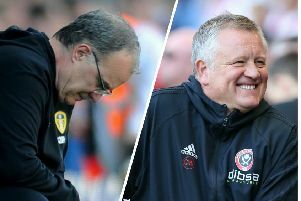 As with everyone at Bramall Lane, the Irishman was disappointed to cede second place to Leeds United just a fortnight after so memorably beating Marcelo Bielsa’s men at Elland Road. But the United defender knows nothing will be achieved by dwelling on what cannot be changed. He said: “At any stage of the season, you reflect and football is about how you bounce back. Egan has missed just one league game since joining the Blades last summer in a £4.1m deal from Brentford. His capture, together with bringing the likes of Oliver Norwood and Dean Henderson on board, was seen as crucial by Wilder if last season’s 10th-place finish was to be improved upon. The United chief admits this point was rammed home as Preston brought the curtain down on the 2017-18 campaign at Bramall Lane with a 1-0 victory last April. “I looked at the back of the programme that day and thought, ‘That is where we need to be’. I looked at their squad compared to ours on the back of the programme and, no disrespect, but we were down to the bare bones and it showed on the day, even though we only lost 1-0. “Roll on 12 months and, in terms of what we have done regarding recruitment, it puts us in a better and stronger position. “There was an increase in the budget and a couple of boys went out of the building, including one big one (David Brooks to Bournemouth). We have been delighted by what we have done. “It has not been a case of deep pockets and cheques flying about all over the place. We have walked away from deals as well to make sure the club is on a good standing. “As, I believe, are Preston. I know Alex (Neil, North End manager) works hard, backed by a really good chairman in Peter Ridsdale. A proper football man. United’s home defeat to Bristol City was just their second since the turn of the year. Preston have also lost just twice in 2019 and been the only team to take points off Norwich City in the last 10 games to underline the size of the task facing not only the Blades today but also Leeds on Tuesday, when Deepdale will host Marcelo Bielsa’s men. Wilder is hoping the squad meeting earlier this week will have given United the lift required to put a dent in North End’s bid to gatecrash the play-offs. “We have re-set ourselves by having a chat,” said the Blades chief. “The players have got opinions and I trust they have got the right ones. “It is not a time to go individual. It is not a time to take a backwards step. It is time to drive it forward. “Are we content with the position we are in? Yes. Do we want more? Absolutely. “We are in the mix to get out of the division. There is no point in me saying to the players it doesn’t mean anything. Of course it does. Just two points separate the Uniteds of Leeds and Sheffield in the table. Norwich, meanwhile, are five points clear at the summit to suggest it will be Daniel Farke’s side plus one other who goes straight up without the need for the play-offs. “If anyone wins five out of the last seven games or six from seven,” added Wilder, “then I will make a phone call to that manager saying, ‘Well done, congratulations’.